Dear world: Enough with the bad news. In the mean time, a post I wrote yesterday about salmon. Salmon. Mmmmmmm. Filled with Vitamin A, Vitamin D, B vitamins, protein and omega-3 fatty acids, salmon is the king of fish. Do you see what I did there? I made a king salmon pun. Anyhoo, for all its glory, one has to be careful with one's salmon. Wild salmon is better than farmed salmon, as the wild has considerably fewer environmental pollutants in it. That's important. However, wild salmon also has less Omega-3. However, I think that's a fine trade-off. Less contaminants. Less fatty acids. Then to boot, almost 99% of Atlantic salmon is farmed and around 80% of Pacific salmon is wild. All important to know when you're standing at your local fish monger eyeballing the salmon (and the rock cod is eyeballing you back). 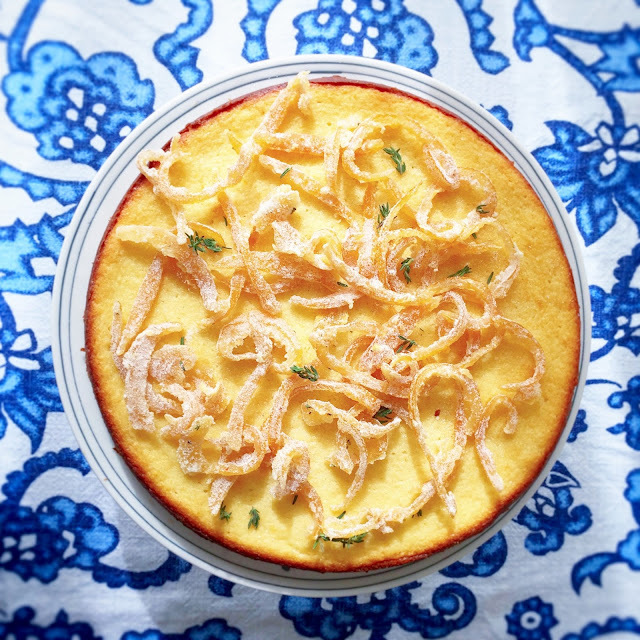 The cookbook that I am cooking from is a new one for the family. Have you heard of the Sonoma Diet? On the surface, it smacks of fad diet--and it certainly has some elements of that. However, for the most part, the eating plan is just a more healthful way of eating. Fill 50% of your plate with vegetables. Fill 30% of your plate with protein. Fill the remaining 20% with carbohydrates. (To make it easy, I just think 25%/25% for the protein/carb ratio). While I don't always use this as my guide to eating, it's helpful. Nonetheless, there is a cookbook that goes along with the plan. These past three weeks after the heavy (and oh so sweet) indulgences of Thanksgiving and as we're leading into the Christmas week, we have been cooking from this cookbook non-stop (or at least on the weekdays), and sweet business, people, we have made really wonderful mango-chutney-marinated flank steak, a shrimp and avocado and citrus salad, a darned tasty mustard-baked chicken, and a fantastic wild mushroom and barley "risotto." I would actually argue that this cookbook ranks up there as one of the best low-fat, high-flavor, healthy-eating cookbooks that I own. I would recommend this cookbook even if you have no interest in following Guttersen's eating plan. Plus, you get to eat this salmon, which was quite tasty next to roasted broccoli, and then I ate the leftovers the next day for lunch as part of a little salad (with cucumbers, red bell peppers, olives, capers, tomatoes, and a lemon vinaigrette). The citrus herb mixture on the salmon was tangy next to all of those veggies and I really liked it. So go out and catch yourself some wild salmon (or see your fish monger), for this is a meal for two days. But not for three. Because then fish, like house guests, begin to smell. Oh dear. Did you see what I did there? I used a salmon cliche. Let me stop now. 1. Pat salmon dry. Season with salt and pepper. 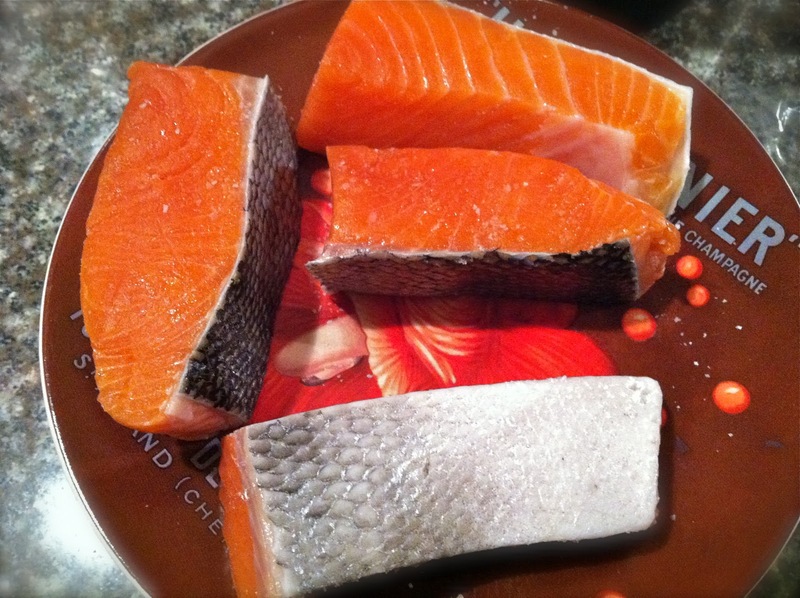 Cut fish into four pieces--about 3 ounces each. Set aside. 2. Finely chop oregano, cilantro, scallions, and garlic. Transfer to a shallow bowl. Stir in lemon juice, citrus zest, oil, salt and pepper. 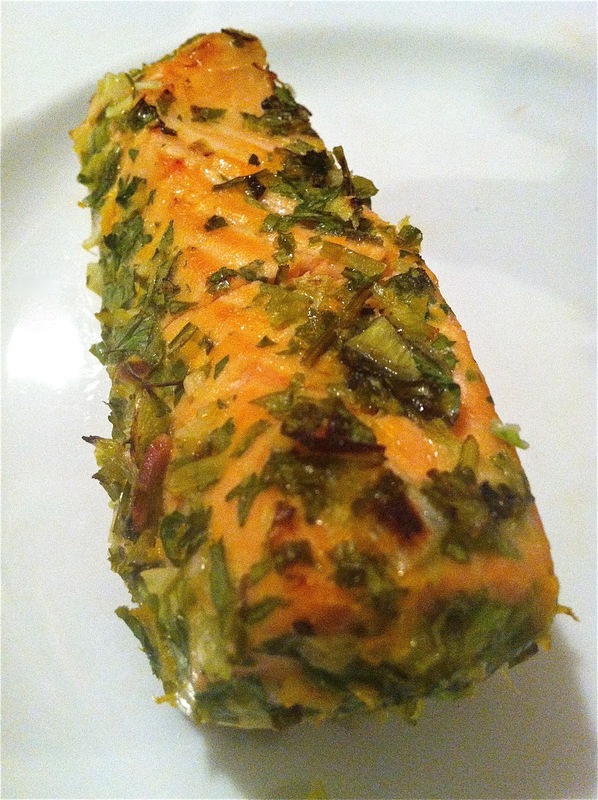 Generously coat salmon with herb mixture (I put the salmon in a plastic bag and rolled the salmon around in the herb mixture). Allow the fish to marinate for 15 minutes to an hour. 3. Preheat the broiler. 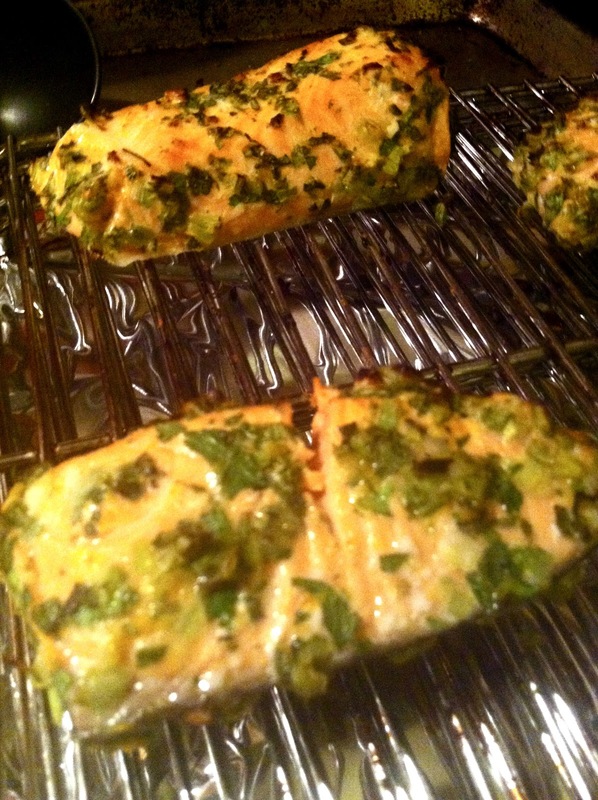 Broil the salmon for 6-8 minutes.